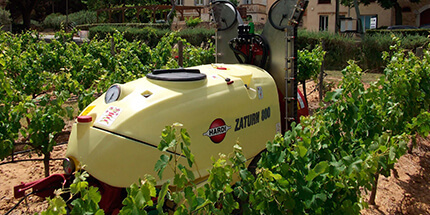 The TWIN concept is a unique HARDI feature, which was developed based on the experiences from the mistblowers back in the 70s and 80s. 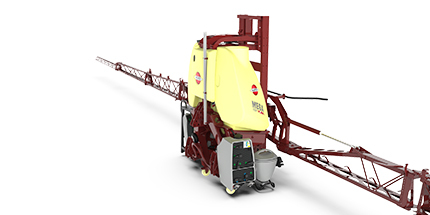 The TWIN concept is founded in an all-round understanding and control of the application in a 3D format. 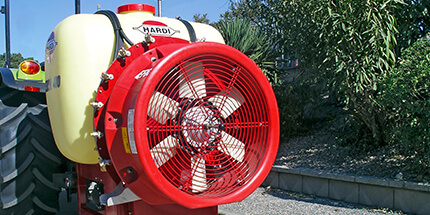 Powerful blower units provide air to the left and right boom sides respectively. 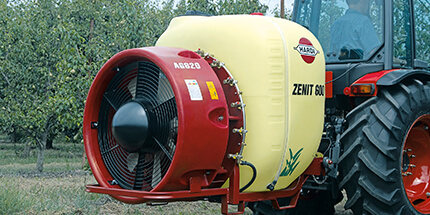 The large amount of air pro­duced by the double fans allows for faster application speeds even under very difficult weather conditions. 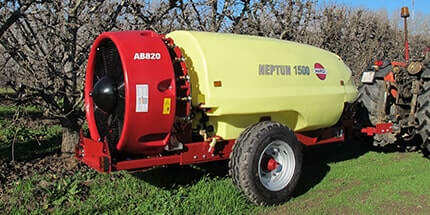 Each blower can be stepless adjusted to a maximum output of 2000 m3/h/m boom width and a maximum air speed of 35 m/sec. 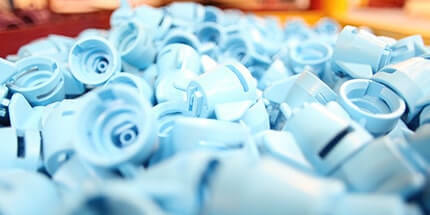 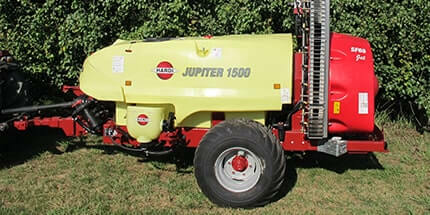 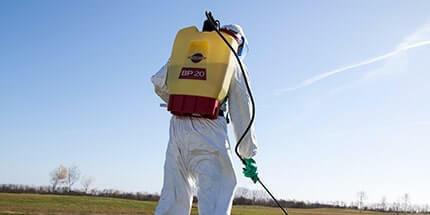 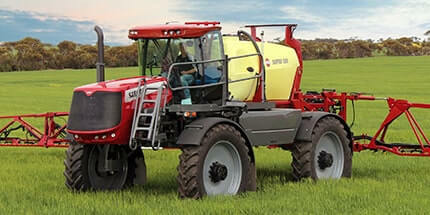 Spray drift from conventional sprayers can be so heavy that the operator has to stop befare the spray job is fin­ished. 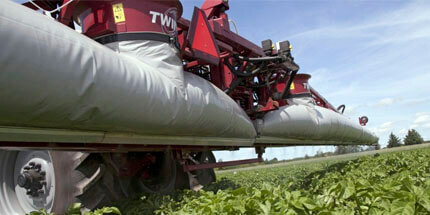 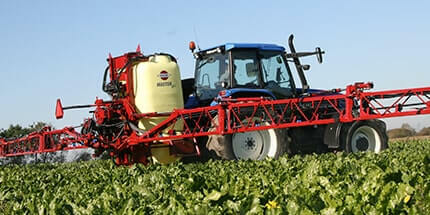 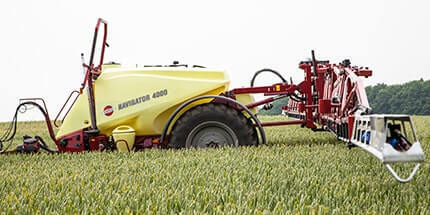 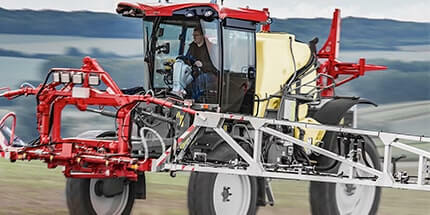 With efficient drift control it is much easier for the operator to be able to spray the entire field in one operation. 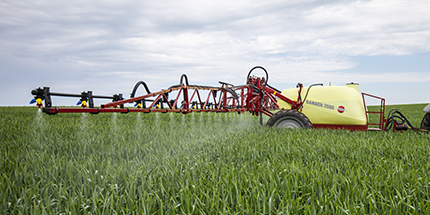 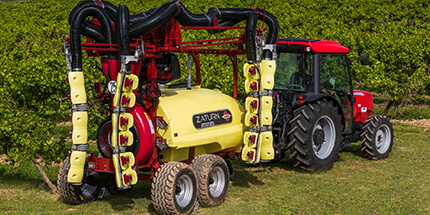 In most conditions, farmers using the TWIN sprayer get at least twice as many hours available for a safe and efficient spray job as with conventional sprayers. 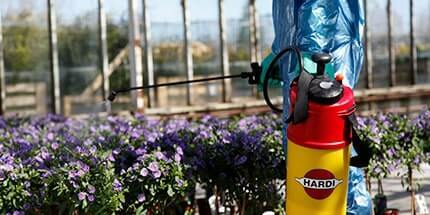 New test: Save up to 30% chemicals with HARDI TWIN technology compared to what you use today. 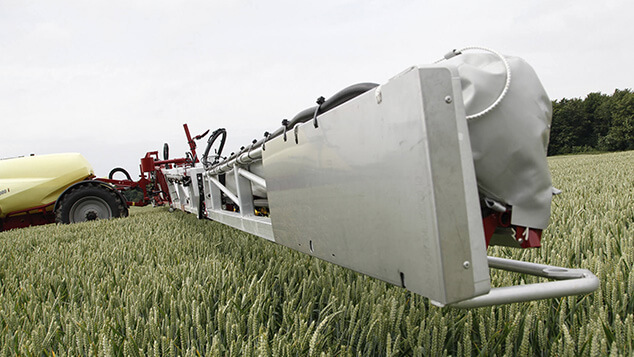 The HARDI TWIN is tested at Flakkebjerg/Aarhus University Denmark over a two year period from 2017 and 2018. 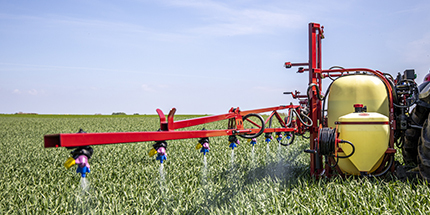 The purpose of the test was to monitor the difference on deposits under the boom and the drift besides the boom using conventional and TWIN air assistance spraying technics. 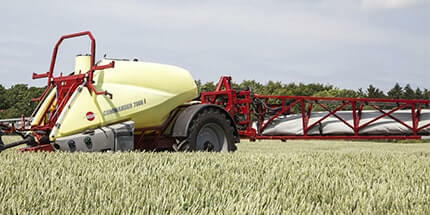 Spray deposition and spray drift from applications at two wind speeds were tested at 8 and 12 km/h with conventional technique and at 8, 12 and 16 km/h with TWIN air-assistance. 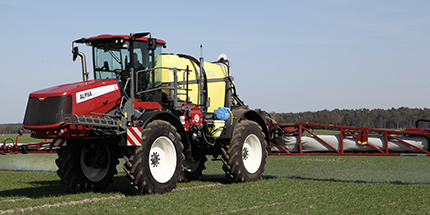 A 24 meter trailed Hardi TWIN sprayer equipped with LD-025 nozzles at 3 bar pressure was used in the test. 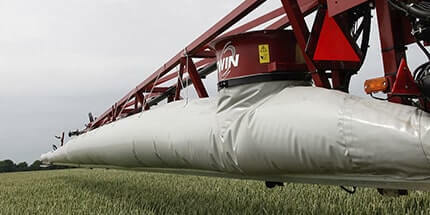 The advantages of TWIN FORCE air-assistance showing that spraying speeds from 8 to 12 km/h and high wind speeds are not causing problems for the quality of the application. 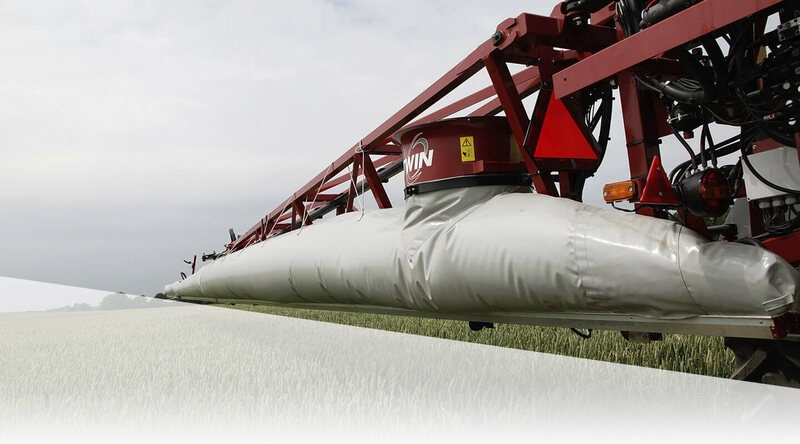 Download the report by filling out the form to the left.